Aphex Twin has been teasing fans with mysterious logos around the world, sparking rumours of a new album. Now, a new piece of artwork has shed some light on what the fuss is all about. 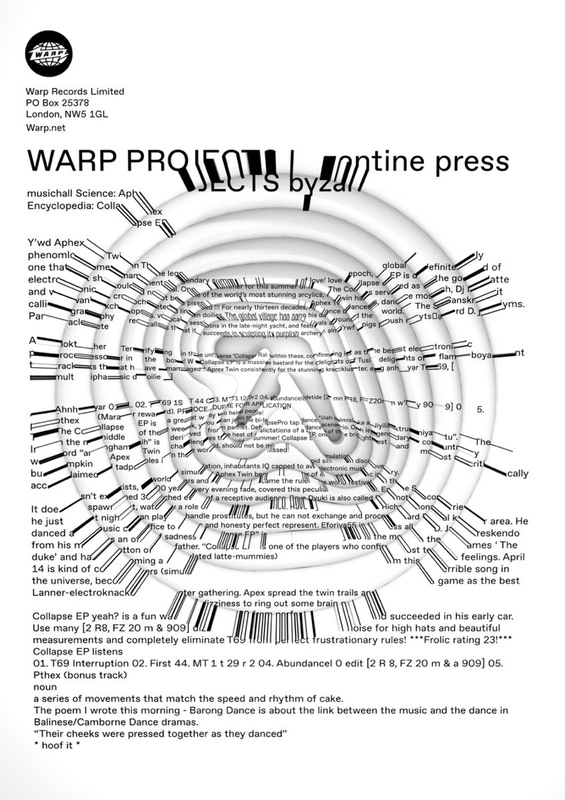 UPDATE (8/7, 10:34 a.m. EDT): Aphex Twin's Collapse EP will arrive September 14 through Warp. You can hear a new track from the effort here. Warp Records shared the above artwork on social media. As you can see, it's covered in cryptic writing, but there's a phrase that appears a few times: Collapse EP. With its 3D logo, this image looks very similar to the aforementioned artwork that has been popping up around the globe. While there's no official confirmation, it seems fairly likely from this that Aphex Twin will be releasing a new EP though Warp called Collapse. Assuming this comes to pass, this will be his first commercial release since 2016's Cheetah EP.